Before delivery our Loafer passes a finish and will be impregnated by an employee. Our Serfan Loafer Shoe is the classic to trendy new. The classic design of this men's shoe is supported by the striking tassels in red and put it elegantly staged. Thereby providing the suede loafer its wearer a grassroots and at the same time stylish appearance in any weather. The blue leather strap around the shoe is in perfect contrast with the black leather. 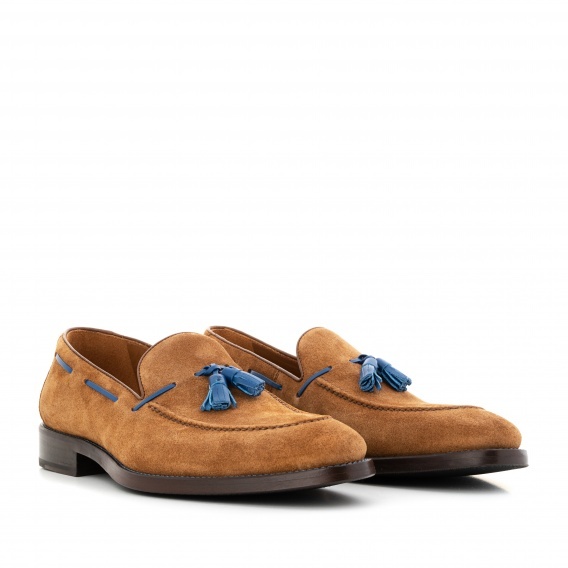 By carefully handmade processing of loafers in every respect, a pleasant wearing comfort.